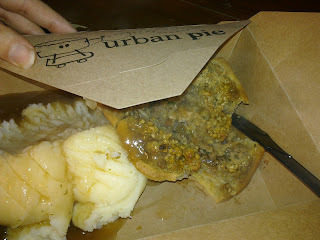 Well you certainly know when it’s heading towards Christmas in Birmingham when the German Market rolls into town (one of the largest in Europe, I’m told) and, more importantly, the Legends at Urban Pie roll out their Christmas Pie selection! Good times! The principle is simple. I’d like to enjoy all the Christmas trimmings of meat, potato, stuffing veg and more – but encased in pastry so that I can potentially eat my Christmas dinner on the go! Is that too much to ask for? After all, the sweet mince pie dominates the Christmas pudding market (bar Christmas puddings themselves), so why can’t a Christmas dinner pie cater for the main meal?! Great point - well made. Well done me! 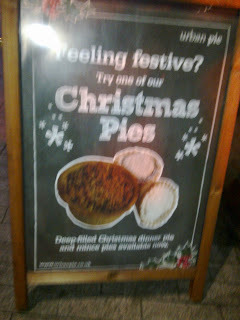 So...what does the Christmas pie taste like?! Well, as you can see from the picture the stuffing lid adds a crisp layer to the top of the pie, jam-packed with meat and veg inside. While we would ideally have liked the lid of the pie to be made of pastry too, the problem with a Christmas roast dinner is that it is way too much to fit in one pie! This is the only real downside, along with the surprise inclusion of chicken – rather than the more normal Christmas favouring of Turkey – that makes up the meat content of the pie. However this aside, the pie tastes fantastic! It’s what you’d expect from the pie experts. How they pack in such meaty goodness is beyond me! 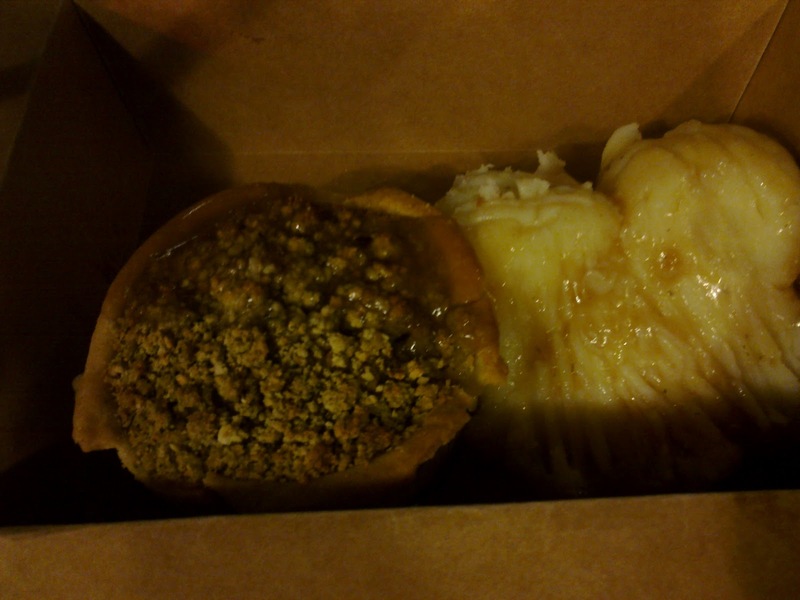 The flavours work well with the pastry and the price is very reasonable. And you can now even go upmarket and have your pie on a plate – how fancy is that?! Who needs a birthday cake anyway? !